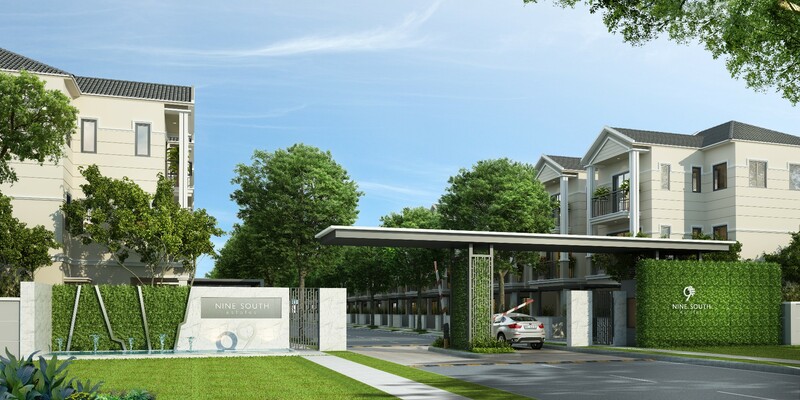 Nine South Estates is a branded residential project developed by VinaCapital. This latest development is a waterfront community comprising of 381 garden homes and luxury riverfront villas located between the edges of the Tom River and Nguyen Huu Tho Road in Saigon South. There are many high-end condominium projects under construction in Ho Chi Minh City providing attractive options for buyers by offering an array of facilities and amenities. However why not consider a landed property that combines superior facilities and world class designs all at attractive prices? 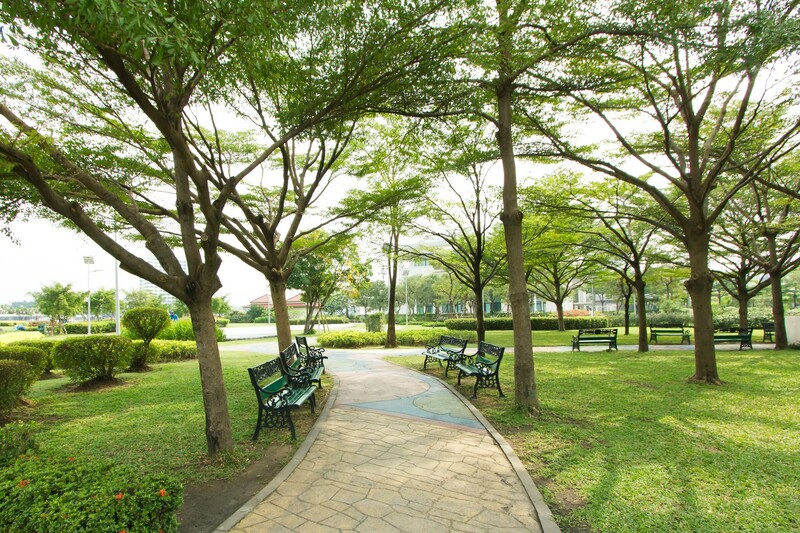 In the major metropolises of Ho Chi Minh City and Hanoi the level of green space has traditionally been limited by international standards, reducing quality of life for homeowners and the attractiveness of landed property for investors, that all changes with Nine South Estates. Nine South Estates will provide 13,000sqm of dedicated green living space stretching along the project’s 400m river frontage, with additional internal parks totaling 6,000sqm for use by residents and their guests. Not only does Nine South Estates bring a unique open design that combines harmoniously with the proposed 13,000sqm of open space, it will also develop a jogging track of over 400m in length along the river. Residents and their family will be able to comfortably to take a walk or jog together along the poetic edge of the Tom river. Residents can enjoy the best swimming pool facilities in Ho Chi Minh City for maximum relaxation after a busy working day. Nine South Estates offers 2 large swimming pools featuring extensively landscaped and decked surrounds, with sunken deck chairs and lounges for our resident’s ultimate convenience. 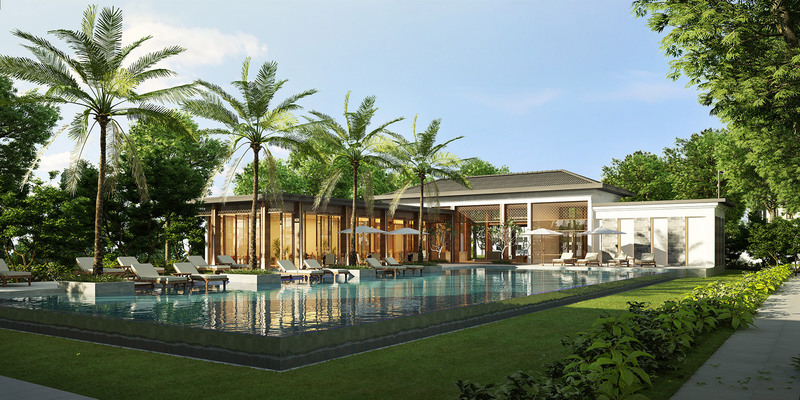 A 2,000m2 water body with pavilion and surrounding green areas will create a charming landscaped zone featuring Fengshui elements in keeping with the developments design for the whole community of Nine South Estates to enjoy. It’s very important for our dynamic and active residents to maintain a healthy body and energetic spirit. Nine South Estates will feature 2 gym rooms at its two clubhouses to be developed within the project. These gymnasiums will feature the latest and most modern exercise equipment currently available to ensure residents remain healthy. Nine South Estates will feature numerous breakaway BBQ areas for use by residents and their guests. These can be used for outdoor parties with family and friends..
Nine South Estates will deliver a number of small children game areas and parks for resident’s ultimate convenience. These areas are not only a space for children to have fun but also a place for the family to enjoy a leafy and green environment. Besides modern facilities, Nine South Estates offers an international standard kindergarten on a 5,200 sqm sub-parcel right inside the community for your ultimate convenience. Security is a critical requirement in a gated residential community. Nine South Estates will feature 9 checkpoints to ensure your ultimate privacy, safety and protection. The Nine South estates project comprises 355 Garden Homes and 26 Riverfront Villas spread over 12.9 hectares, and with an approved construction ratio of below 30%. Located just 9km from the CBD and within a 4km radius of a range of existing amenities within Phu My Hung such as Vivo City Mall, RMIT international university, and a number of International schools including the UK, US, Singapore, Korean and Canadian international schools . Construction progress is rapidly progressing with site infrastructure, a Show Village including display homes together with the projects first (of two) sports and recreational clubs is now 70% complete, an official launch will be held in the first quarter of 2016. 62 garden homes are now opened for reservation with very attractive price and payment term.